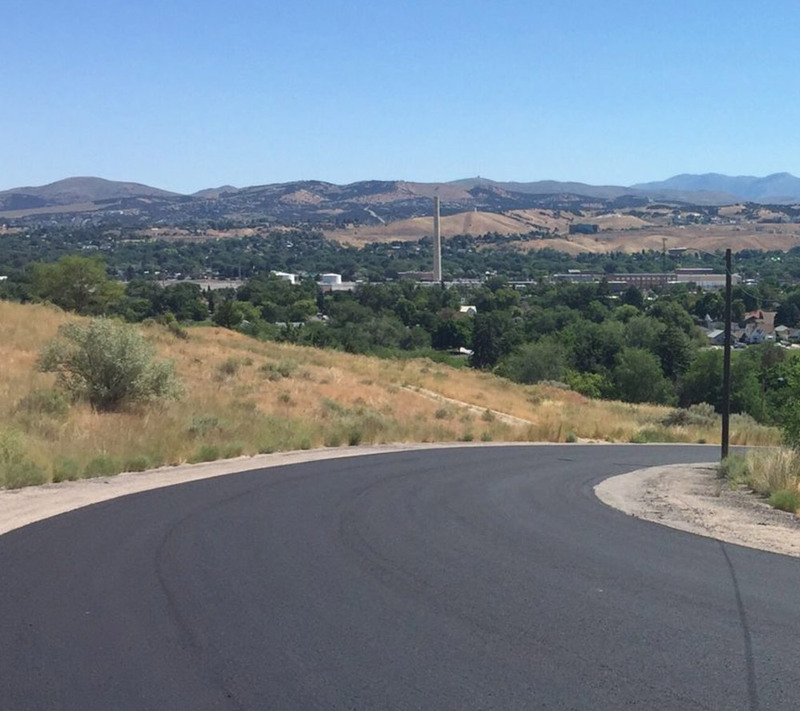 Combining multiple treatments into 2 and 3 layer systems can be an incredibly cost-effective alternative to expensive asphalt overlays or mill and fill operations. 3 Layer Pavement Preservation moves surface treatments far along the pavement performance curve. 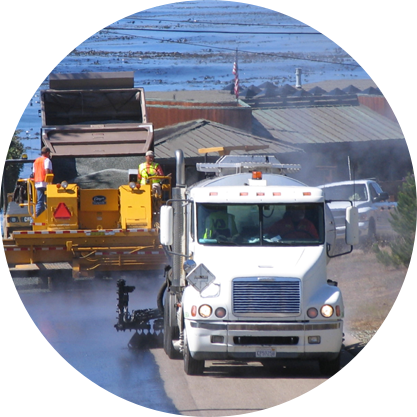 This process has been used for several years throughout California cities including Watsonville, Victorville, Napa, Sacramento, Lompoc, Fort Bragg, Porterville and Sonoma County. This process has been used over structurally sound, but severely alligatored and aged pavements. It involves a Type III microsurfacing course, a asphalt rubber chip seal and a slurry or microsurfacing wearing course. Microsurfacing has proven itself to be the ideal leveling course which can be used in a wide range of weather conditions with minimal disruption to the public. Microsurfacing is a zero emissions cold applied system that requires no rolling and can be traffic ready in an hour or less. In these applications, the microsurfacing is applied to the surface at between 25 and 27 pounds per square yard of dry aggregate. The material is applied at 25 % liquids, allowing the fine aggregate to flow easily into the cracked and worn areas. The asphalt residue is highly polymerized. Asphalt Rubber Chip Seal is the premium chip seal technology. 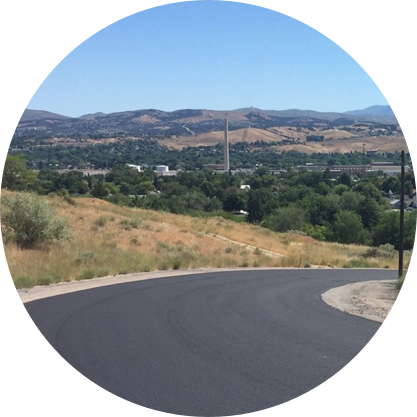 Defined by ASTM, asphalt rubber allows application rates from 0.6 to 0.7 gallons per square yard of asphalt rubber residue. This membrane provides a stress absorbent layer to mitigate reflective cracking and stop water from draining into the base layer of the road pavement. The use of hot pre-coated chips insures chip retention and quick sweeping. Asphalt rubber technology also extends the weather window, allowing us to work when our conventional chip seal operations are sidelined. 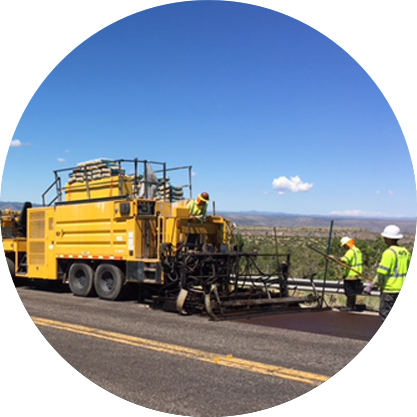 International Surfacing Systems can trace its lineage to the very early days of asphalt rubber in Arizona in the 1960’s. The ISS crews recycled over 1.5 million tires in 2010 alone. Slurry or microsurfacing systems are the standard when it comes to cost effective wearing courses. Either technology is effective depending on local conditions. Microsurfacing can be installed in traffic sensitive areas or in problematic climates. The systems can be made to increase skid resistance or provide the public with the smooth local roads they desire.